Thanks for tuning in. We'll be back on Monday at 6am sharp, hope to see you then. Shares in Danske Bank fell on Friday after the Wall Street Journal reported that an investigation into a money-laundering scandal at its Estonian branch between 2007 and 2015 involved $150bn worth of transactions. The Danish lender has admitted to flaws in its anti-money laundering controls in Estonia and has launched its own inquiry, the results of which are expected this month. "Any conclusions should be drawn on the basis of verified facts and not fragmented pieces of information taken out of context," Danske chairman Ole Andersen said. "As we have previously communicated, it is clear that the issues related to the portfolio were bigger than we had previously anticipated." Shares in Danske Bank fell as much as 5.2% on Friday. Donald Trump's threat has been the final death knell for Wall Street. All three of the main indexes have ended trading lower. The Dow Jones ended 0.3% lower at 25,916.54, the Nasdaq 0.25% down at 7, 902.54 and the S&P 500 finished 0.22% lower at 2,871.68. Tech giant Apple's shares have fallen after Bloomberg reported that Apple has warned if the US does impose a third round of tariffs on $200bn worth of Chinese goods then it will hit some of its products. The Apple Watch, AirPods, HomePod, AirPort routers, Apple Pencil, Mac mini, and some adapters/cables will all be affected, according to Bloomberg reporter Mark Gurman. Wall Street markets have recovered slightly after Donald Trump threatened a fresh wave of tariffs on China, although the three main indexes are still in the red. The S&P 500 is down 0.1% at 2,874.46, the Dow is 0.2% lower at 25,943.68, and the tech heavy Nasdaq is flat at 7,922.1. The president told reporters he could move “very soon” to impose duties on $200bn in imports from Beijing, with levies on a further $267bn of goods “ready to go on short notice”. That would mean the US raising duties on all Chinese imports to the US. The comments suggest the Trump administration is seeking to escalate its trade-war with China, after repeated attempts to reach a deal fell flat. “I’m being strong on China because I have to be,” Mr Trump said on Air Force One. “They’re taking $500 billion dollars out a year. Can’t let that happen." This year, the US has already imposed $50bn in tariffs on US products. Nafta trade negotiations between Canada and the US could continue until the end of September, a Canadian source has told Reuters. Canada’s top trade negotiator and her American counterpart started a third day of talks to save the North American Free Trade Agreement on Friday as differences between the two sides appeared to have narrowed. According to the US, the main sticking points in discussions are Canada’s dairy quota; Ottawa’s desire to keep Nafta's Chapter 19 dispute resolution mechanism; and Canadian media laws that favour domestically produced content. US stocks have reversed course to trade lower, after Donald Trump said a fresh round of China tariffs were “ready to go on short notice”. This would impact $267bn worth of Chinese imports and come on top of $200bn worth of tariffs due to be imposed shortly. The Dow Jones Industrial Average is down 0.6% at 25,849.48, the S&P 500 has lost 0.2% to 2,873.46, and the Nasdaq is 0.2% lower at 7,910.80. When Starbucks opened its first outlet in Italy this week, many thought the American giant would be laughed out of town. Italy is after all considered the home of coffee, and not the tall milky kind. However, around two hundred queued outside the Milan store - an upmarket concept roastery - to sample its wares on Friday. These included tourists and locals, Reuters reported. “I hope the coffee here tastes better than it does in America,” Milan resident Sonia Vesti said. The firm has already attracted the ire of Italy's cafe owners over its new venture. Yesterday a trade group lodged a complaint about the firm's roastery with competition authorities, arguing it is charging almost twice what Italians are used to paying for their daily espresso in the city's cafes. The London market has closed lower for the second day running because of a surge in the pound. When the currency rises, it impacts the foreign earnings of big firms on the index, as they are worth less when they are converted back into sterling. The FTSE 100 fell 0.6% to 7,277.70 points. Miners were among the worst performers, with Glencore, Fresnillo and Antofogasta shedding between 2.7% and 4.2%. The head of South Africa's civil engineering institution (Saice) has been sacked after he wrote that few women take up the profession because they are "more predisposed to caring". He later apologised but Saice said it had terminated his contract due concern from its members. Shares in German lender Deutsche Bank fell by more than 3% on Friday before recovering slightly, after media reports that major Chinese shareholder HNA would sell off its stake. Citing people familiar with the matter, the Wall Street Journal and German business daily Handelsblatt both said that HNA - a sprawling conglomerate - would offload its roughly 7.5% holding. Deutsche declined to comment. If confirmed, the sale would come at a tricky moment for the troubled bank, whose second-quarter profits were down 14% year-on-year. New boss Christian Sewing has promised to reform the lender by scaling back its investment banking activities and refocusing on the German market, but it has failed to enthuse investors. The pound has lost some of its fizz after breaching the $1.30 mark earlier. Reports the EU is "open" to discussing alternative arrangements for the Irish border had bolstered the currency, but it's fallen back to $1.2967. 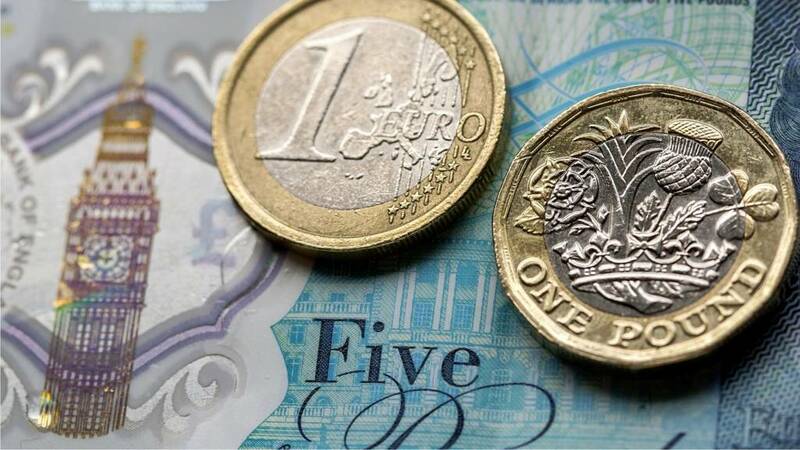 It's up 0.6% against the euro at €1.1190. Golf retailer Ping Europe "broke the law" by banning the sale of its clubs online, a Tribunal has ruled. In August 2017, the Competition and Markets Authority (CMA) found that Ping, which sponsors stars like Bubba Watson, had breached competition law by preventing two UK retailers from selling its clubs on their websites. Ping appealed but a tribunal on Friday dismissed the case, imposing a £1.25m fine. John Neal has been appointed as the chief executive of insurance market Lloyd’s of London, succeeding Inga Beale. He will take up his position on 15 October 2018. Mr Neal was most recently group chief executive of QBE, a global insurance and reinsurance business. Ms Beale, the first female chief executive of Lloyd’s of London, announced she would step down in June. She made modernisation one of her priorities, updating the market’s systems and pushing to improve diversity in what has traditionally been a white, male-dominated market. 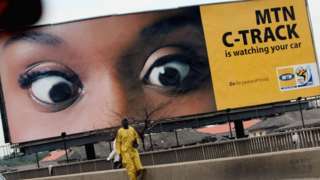 The telecommunications giant was hit with a multi-billion dollar tax bill by Nigerian regulators. Shares in Tesla have fallen 10% after the resignation of its chief accounting officer after just a month in the job. The company said Dave Morton had left, blaming discomfort with the level of public attention the carmaker was getting and the pace of work. It follows a host of bad press for Tesla boss Elon Musk, who faces investigations and lawsuits after claiming last month that he would take Tesla private, causing its share price to spike. He also sparked a twitter storm overnight after smoking marijuana during a 2-1/2-hour live web show with comedian Joe Rogan. Bloomberg also reported Tesla's chief people officer, Gaby Toledano, was to leave the company just over a year after joining. The firm, which has never made an annual profit, faces pressure from investors to ramp up production and growth.